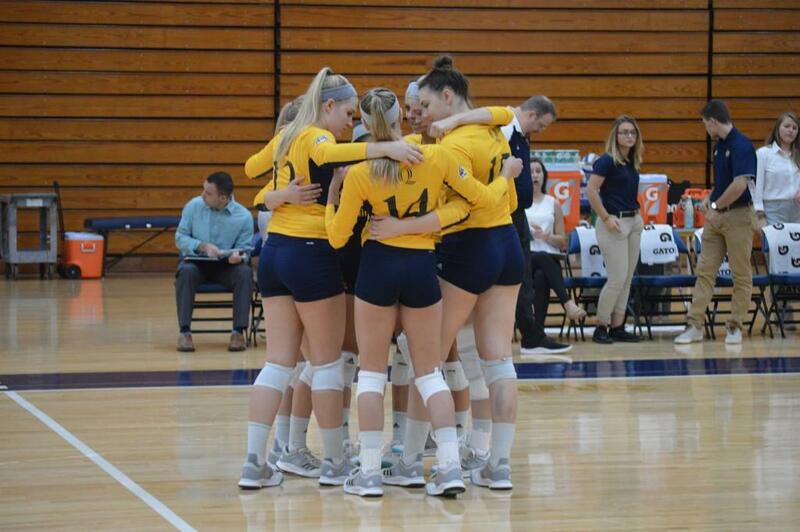 The Quinnipiac volleyball team (2-10, 1-1 Metro Atlantic Athletic Conference) looks to secure a win in their first home game of the season as they take on Iona (3-4, 1-0 MAAC) on Saturday. The Gaels are coming off a strong start to conference play after defeating Manhattan three sets to none last week. The Bobcats defeated Saint Peter’s last Sunday in an exciting five-set match. The sophomore has been dominant for the Bobcats to start conference play, so she is one to watch out for during this match. She racked up 22 kills—the most on the team this season—and 12 digs against Saint Peter’s to give her the first double-double of her career. Sherwin has proved time and time again that she is dangerous both offensively and defensively. The senior outside hitter will definitely be a threat to the Bobcats during this match. Archibald has 101 kills in seven games, the most by any Gael this season. In their match against Manhattan, she finished with 17 points on 12 kills, four aces and two blocks. On the defensive side, she racked up eight digs, tying for a team-best. Quinnipiac needs to keep their eyes on her or she will make them pay, whether she’s up at the net or guarding the line. The Bobcats started out slow against Saint Peter’s but exploded in the second set and kept that pace throughout the entire match. The offensive trio of Sherwin, Miller and Jones will be crucial to keeping Quinnipiac in the match. Iona’s offense is a force to be reckoned with, so blocks and digs are going to have to be at the best they can be to catapult the Bobcats to victory. If the Gaels start strong and hold their ground, they can pull out a win against the Bobcats. They are coming off a three-set win, led by seniors Claire Archibald, Mia Bonsignore and Emma Rose and junior Tess Connolly. If Iona gets in an offensive groove, they just might be unstoppable if Quinnipiac collapses under the pressure. Tune into QBSN’s live broadcast of Quinnipiac vs. Fairfield from Burt Kahn Court at 1 p.m on Saturday. Andrew White and Liz Flynn are on the call. For game updates, follow @QBSN on Twitter.